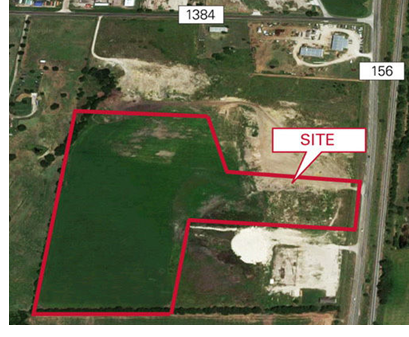 ​ ​​JUSTIN, DENTON COUNTY – J&B Construction has purchased 25 acres fronting FM 156 near its junction with FM 1384. The construction firm has started the cleanup on the Denton County site laden with tons of concrete debris as the first step in redeveloping. The land has roughly 200 feet of frontage along FM 156, which connects to TX 114 and offers easy access to Interstate 35W.